This weekend, Atlas Networks attended the 2018 Suncadia Real Estate Expo! This was Suncadia’s fourth annual event and double the size of the previous year. 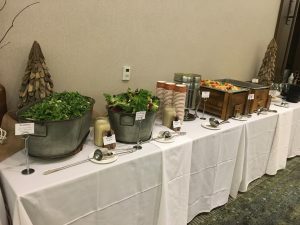 In attendance were thirty-seven vendors – including Architects, Builders, Lenders, and Home Decorators – filled the newly remodeled Rialto Ballroom at The Lodge. 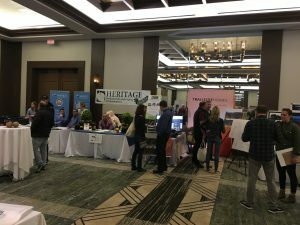 The event was catered to new and prospective home buyers, where they were given the opportunity to ask questions and make connections while enjoying a generous buffet, wine, and beer. The highlight of the Expo was featuring Kittitas County Habitat for Humanity. All of the vendor fees went to them, as well as the proceeds from the beer purchases. All in all, the event raised $6,000! 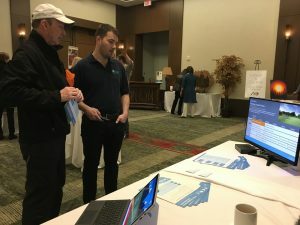 This year’s event highlighted the growth Suncadia has recently experienced; it featured twice as many vendors as last year, along with many new builders and architects to Suncadia. The most recent report states that a minimum of eighty homes will break ground in 2018. Coupled with the growth and additions at Nelson Preserve and River Ridge, this indicates an exciting year ahead for Suncadia and Atlas Networks!